Present state: Demolished no trace of the station remains, the track bed it now a service road and car park. A row of period shops that backed on to the station can still be seen. Budgens store in Tattershall Road now stands on the site of the goods yard. 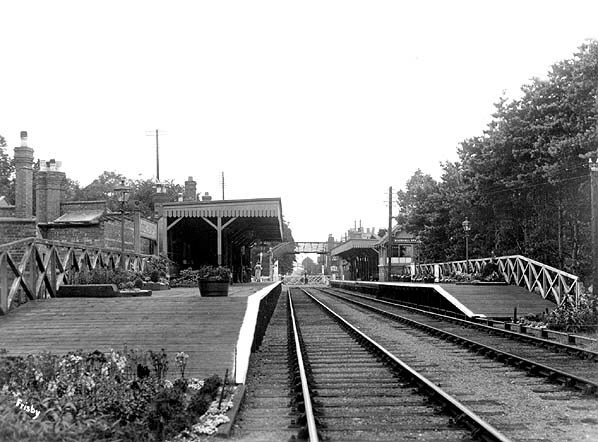 Notes: When Woodhall Spa station opened it had one timber platform but as the village developed into a health resort the original wooden platform with its small waiting room was unable to cope with the number of visitors arriving at the resort by train. goods yard which had a single siding on a loop and coal drops and was sited some distance to the south west of the passenger station on the up side of the line to the east of Tattershall Road. The original signal box controlled the level crossing and was sited on the opposite side of the crossing. The stationmaster's house was at the south end of the northbound platform, adjacent to the crossing. 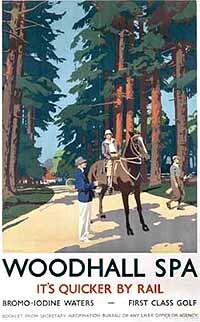 The popularity of the Woodhall Spa as a health resort declined at the beginning of WW1 but the Woodhall Golf Course continued to attract many visitors in the 1920s and 30s. 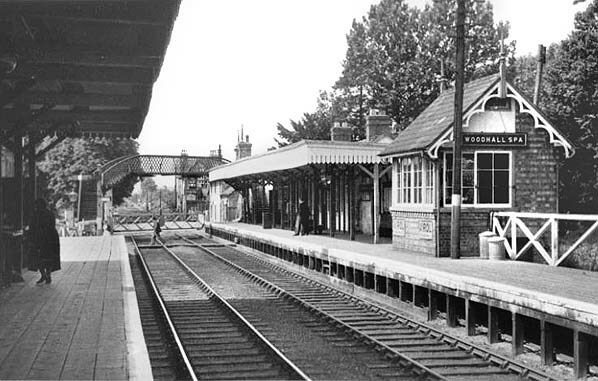 After closure to passengers in 1954 the station remained open for coal traffic until 27th April 1964. The main line (Lincolnshire Loop Line) of the Great Northern Railway (GNR), the line which linked Boston to Lincoln, ran along the bank of the River Witham. There was a canal that joined Horncastle to the river near Dogdyke where there was a station. In 1851, in order to facilitate the transfer of coal and other heavy goods, the GNR built a coal wharf and warehouse at Horncastle as they didn't have any funds available for a rail connection. From there, coal was delivered to the surrounding villages. It soon became clear that the area would be better served by a railway link from Horncastle to the main line. Without that, it was feared the town would decline as competition increased from the fairs and markets of other towns served by a railway. opposition until it was revealed that the majority of the protesters had interests in the canal company. So, in July 1854, the Bill was passed. 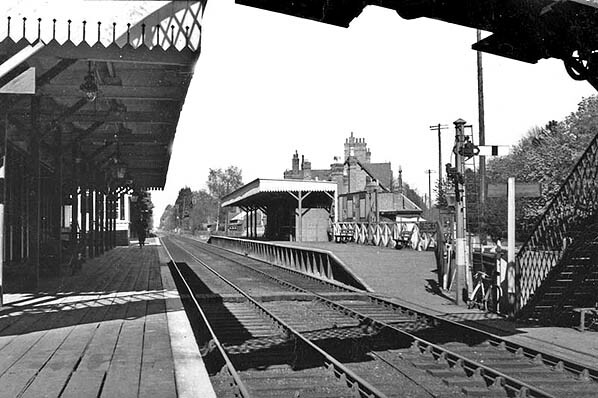 Woodhall Spa where a station with a single platform was built. It carried on for another 3 miles, through a small cutting in a low spur of the Wolds, until it encountered the canal. It then ran northwards, alongside the canal, to Horncastle. sufficient capital and the GNR declined an offer to take over the powers when the scheme was abandoned in 1891. 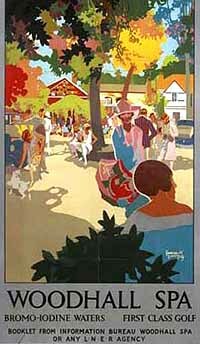 There was a vigorous local campaign to fight the closure which lasted two years and at one stage almost succeeded. When a much cheaper diesel railcar service was proposed for the branch, a sub-committee of the East Midlands Transport Users Consultative Committee was formed to discuss the proposals. 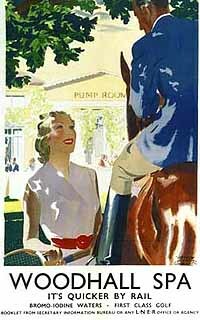 In July 1953 three of the four members of the sub-committee reached the conclusion that the Railway Executive should withdraw its proposals to close the branch. The Railway Executive rejected the report and closure was announced for 13th September 1954. 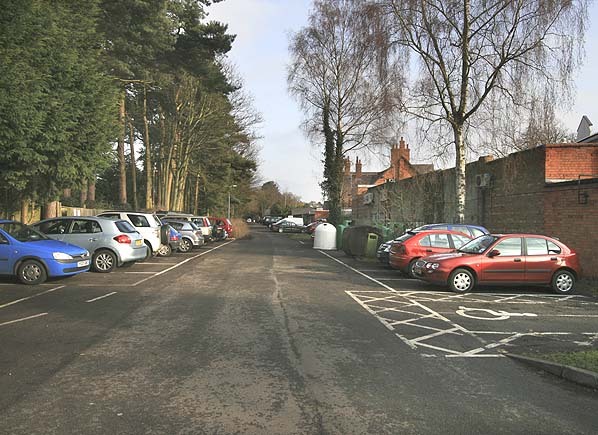 Site of Woodhall Spa station looking east in January 2010. 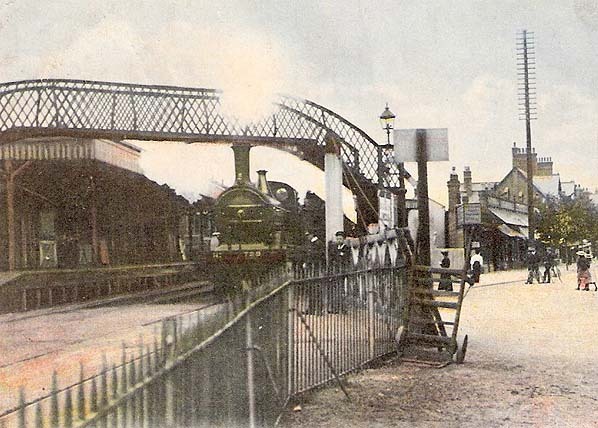 The shops on the right right were at the back of the westbound platform and can be seen in the 1908 picture above.